in New Zealand to equip and inspire students. The Digital Technologies Curriculum focuses on computational thinking and computer science to provide students with the opportunity to develop skills needed for the jobs of the future. Today, we’re excited to announce our 2018 funding cycle is open to universities, schools and nonprofits around Australia and New Zealand. Applications will close on the 2 March 2018. To learn more about the application process head to the website. Tracy Henderson from the University of Canterbury and Julie McMahon from the New Zealand Association for Computing, Digital and Information Technology Teachers identified an opportunity to ensure equal access to CS for students and teachers in rural communities in New Zealand. With their CS educator grant, the CS4PD program created by Tracy and Julie established regional CS Professional Development (PD) hubs in the North and South Islands of New Zealand to ensure all teachers are given the opportunity to engage with CS. 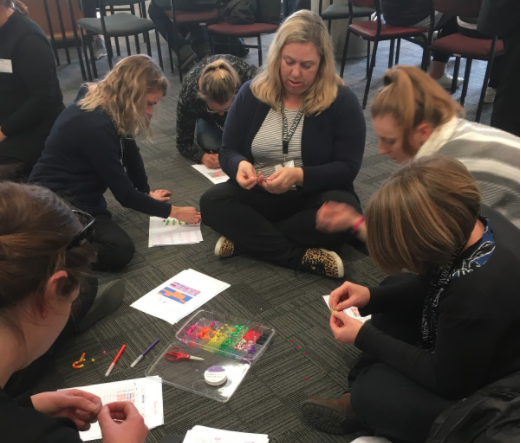 In 2017, the team hosted a three-day workshop for 55 teachers from primary, secondary intermediate schools across New Zealand where teachers were introduced to the proposed new curriculum along with accessible, hands on training to run PD for teachers back in their regions. The primary goal for Julie was to “be inclusive of all regions and all types of schools and in particular it was important that our Maori Medium teachers present felt valued and their mana embraced by everyone present”. The workshop was a huge success, with 2018 PD plans in the works that include the creation of a resource depository for teachers to access through New Zealand. Tracy says, “We concluded the week with inspired teachers ready to help support other teachers within their regions and schools to implement the new Digital Technologies curriculum in 2018". Google has long supported the Digital Technologies Curriculum in New Zealand to equip and inspire students. The Digital Technologies Curriculum focuses on computational thinking and computer science to provide students with the opportunity to develop skills needed for the jobs of the future.